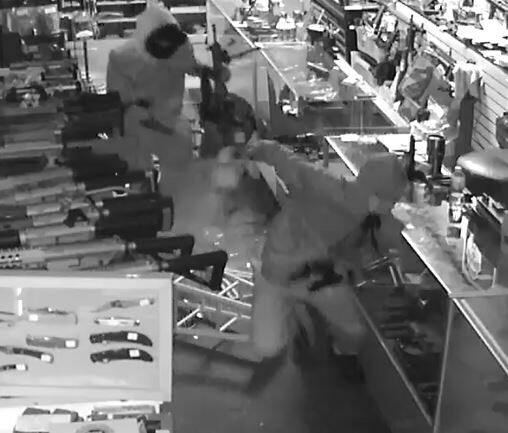 VINTON, VA — The Bureau of Alcohol, Tobacco, Firearms and Explosives (ATF) and the National Shooting Sports Foundation (NSSF), the trade association for the firearms industry, have announced a reward for information leading to the arrest and conviction of those responsible for the burglary of Virginia Gun and Knife Traders, LLC, a federal firearms licensee (FFL) in Vinton, VA. The business trades as “CW Tactical Solutions.” ATF and the NSSF are each offering a reward of up to $2,500, for a total reward of $5,000 for information that leads to an arrest. 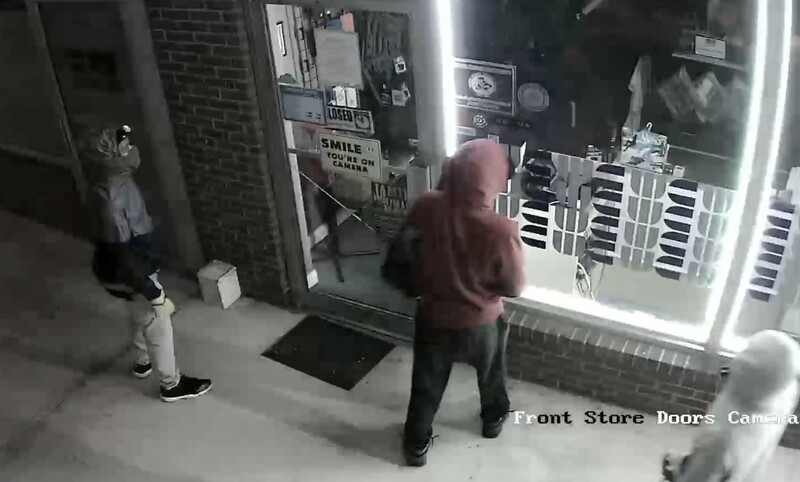 On May 28, 2018, three suspects forcibly entered CW Tactical Solutions, located at 1326 Washington Avenue, Vinton, VA, by breaking through the front display window of the business at approximately 1:47 a.m. Once inside, the suspects used a hammer and destroyed a glass case and proceeded to steal several firearms from within the store. The crime is being investigated by ATF and the Vinton Police Department. Anyone with information about this crime should contact ATF at 1-800-ATF-GUNS (800-283-4867), email ATFTips@atf.gov or contact ATF through it’s website at www.atf.gov/contact/atf-tips. Tips may also be submitted to ATF by using the ReportIt app, or by visiting www.reportit.com. You may also provide information by contacting the Vinton Police Department Criminal Investigations Division at 540-983-0617 ext. 7046. Anonymous tips can be left through online reporting at www.vintonpolice.com or by calling the Crime Stoppers Tip Hotline at 540-345-9508. All calls and tips will be kept confidential. ATF, along with its law enforcement partners, are committed to ensuring that our communities are safe, and that those that commit violent crimes such as these are held accountable. The reward is part of a larger national cooperative initiative between the NSSF and ATF, in which the NSSF matches ATF rewards in cases involving the theft of firearms from FFL retailers. ATF works closely with members of the firearms industry to curb the criminal acquisition and misuse of firearms.